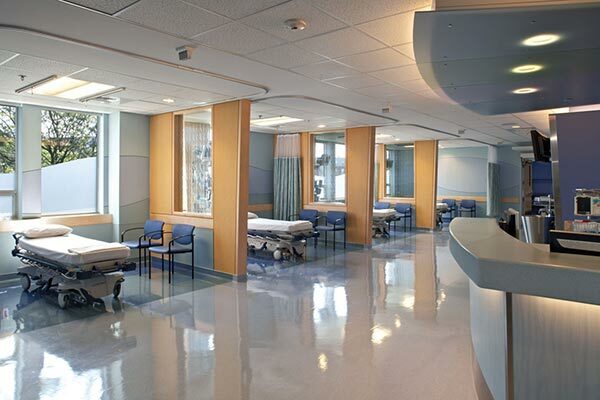 The project team completed design and renovations for the new surgical center at Children’s Hospital Boston’s satellite facility in Waltham, a suburb of Boston. Designers worked with representatives from Children’s to develop engaging and whimsical solutions that would create an imaginative and comforting medical environment. A beachside theme was chosen and a seaside atmosphere created through the use of cool blue, tan, and green tones and wave-like decorative features and furniture designs. The Surgery Center immerses visitors in an “underwater” adventure, with waves cresting along the frosted glass and sand-colored walls. These dynamic spaces are enhanced with curvaceous furniture, decorative glass panels, an innovative lighting design, and playful artwork and animal characters adorning the walls and ceilings. 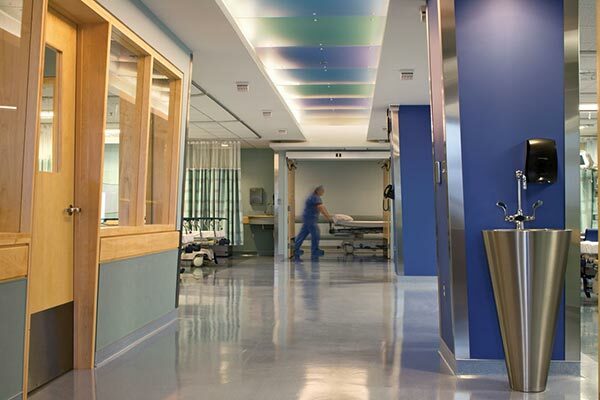 To best support the pediatric clientele, the facility is arranged so that parents can easily accompany children through both pre-operative and post-operative procedures. 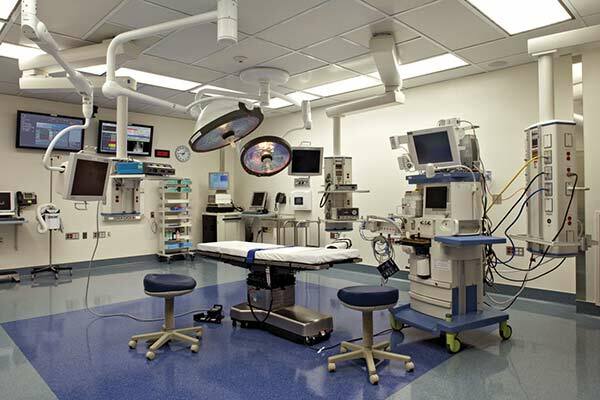 Sophisticated technologies in the surgical suite allow surgeons to conference in real-time with the Boston staff and exchange information instantaneously. Interior lighting concepts enhance the comforting ambience of the space with indirect lighting that identifies points of destination while highlighting the fun features of the design. Lighting washes the textured glass panels to create the illusion of a fish tank, while real fish tanks are incorporated into the millwork to engage patients as they wait. Part of design team for OR suite as part of a larger Master Plan.